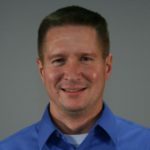 What’s the Future of Orchard Robotics in Pennsylvania? During the past several decades, agriculture, in general, has made advancements as a result of automation and precision management technologies. However, for the specialty crops including tree fruit, the application of automation and precision management has lagged behind due to the complexity of orchard tasks and inconsistencies in orchard systems, according to an article on the Penn State Extension website. The majority of tree fruit production operations are still highly dependent on human labor. Furthermore, orchard operations are typically labor intensive and highly time sensitive. This intense labor demand is creating a significant risk of growers not having a sufficient supply of labor to conduct seasonal tasks. The industry needs technological innovations to assist growers in maintaining a competitive position in the global marketplace. Meanwhile, more food needs to be produced to feed a continuously increasing population with limited resources such as water and agricultural land. Precision agriculture has become essential to minimize production inputs and environmental footprints of agricultural systems. To address the challenges in the tree fruit industry, innovative mechanical and automated systems are the solutions to reduce labor demand. In Pennsylvania, tree fruit orchards are increasingly planted in high-density systems that could allow easier access to both the tree canopy and fruits. This increases the potential for applying mechanical and automated technologies. 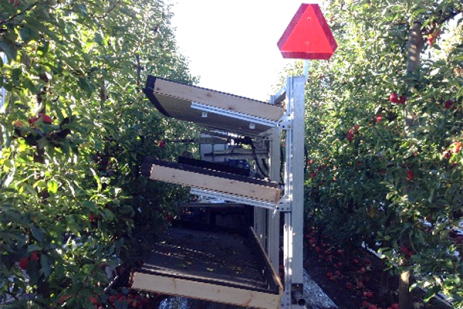 A “Robot Ready” concept was proposed recently by Washington State University scientists to train and manage orchards for robotic harvesting. The horticultural advancement is very important for adopting mechanical or robotic technologies in tree fruit production. While some jobs will be lost due to orchard automation, the addition of robotics into this field also opens up new jobs that only humans can do.